State of the art silo stock measurement systems can be used to provide accurate ‘real time’ monitoring of storage vessel contents and detect potential system faults or raw material clumping problems. Associated telemetry can then be used to automatically e-mail raw material suppliers to replenish silo stocks, or alert on-site teams to pro-actively investigate problems: this ensures a continuous supply of feedstock for a customer’s production process. Barton Fabrications, the UK’s largest manufacturer of aluminium silos, working together with Applied Weighing International – a complete weighing systems supplier - offers precise silo content management systems for standard industrial and hazardous area environments. The systems are available on both new silo installations and as a retrofit to existing plant complementing both Barton Fabrication’s silos and other manufacturers’ vessels. 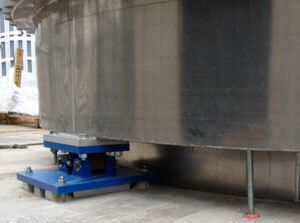 The silo stock measurement systems comprise three or four load cells mounted under the silo, which are connected to Applied Weighing’s Intelligent Junction Box. 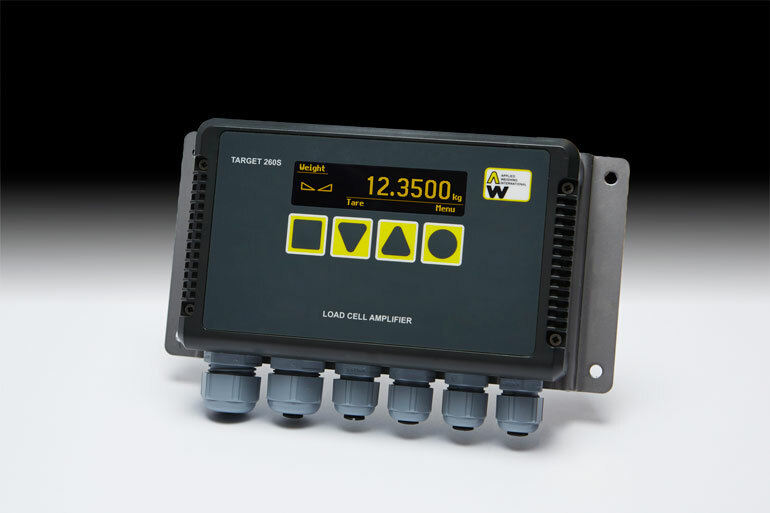 This unit not only provides a single signal output from up to four load cells, but also monitors load cell or cable faults. In addition, the system will also detect silo ‘out of balance’ loading, which may be caused by raw material bridging / clumping or an obstruction under the silo base. Further investigation and remedial action can then be taken to avoid erroneous weight readings and potential raw material shortages. 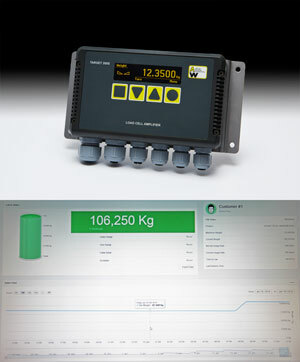 The output from the Intelligent Junction Box (or boxes) is fed using CAN BUS connectivity to the Teleonix2 telemetry system. This enables vessel content / status to be reviewed via the internet (the system can be configured to limit the information viewed). Additionally, re-order e-mails can be sent automatically to suppliers when pre-determined silo levels are reached. This information is then used to ensure full tanker loads are delivered in a timely manner, providing efficient silo stock control with minimum risk of feedstock shortage. Barton Fabrications manufactures bespoke aluminium and stainless steel silos with Applied Weighing’s content measurement / management systems for both new and retrofit vessel installations as detailed in this report.